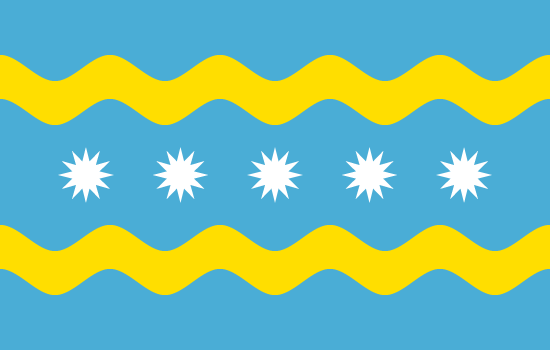 After a series of negotiations between the United Nations, the U.S. Government, the State of Illinois, the City of Chicago and various ward aldermen and their constituents, sovereignties over several neighborhoods on the South and West sides were transferred to the governments of Pacific island nations whose territories have been made uninhabitable by rising sea level. Generously compensated, residents displaced by the new arrivals were relocated to the North side. The new residents, also generously compensated by carbon-intensive nations in perpetuity or until global warming subsides, then set about colonizing their new homeland: an archipelago of extraterritorial enclaves carved out of the city. Some razed everything to the ground, then unearthed and discarded everything that was underground; they tilled the earth anew. Others adapted to and modified what was there, resulting in a patois of Midwestern and Pacific cultural traditions. Still another nation-in-exile housed their entire neighborhood-state in vast greenhouse complexes: a City of Glass simulating a tropical memory, luminous at night, gleaming during the day. How come the colors of the flag keep changing? Can't decided which one to use: this or this or this? The original Chicago flag is great for many reasons, but a cool aspect is that the colors all have meaning. Well, at least the colors of the stripes do, light blue to represent the north & south branch of the Chicago River. Maybe a green stripe would be good, seeing as the river isn't anywhere near light blue? I suppose the colors of the New Micronesia flag(s) have meaning as well, since I used the colors of the Kiribati flag in one version and the colors of the Palau flag in another version. Meanwhile, I thought I'd mention that in the Chicago flag there are only 4 six-pointed stars, representing Fort Dearborn, the Great Chicago Fire, the World's Columbian Exposition and the Century of Progress Expo. I added a fifth to represent New Micronesia. Moreover, the stars are 12-pointed, borrowed from the flag of Nauru. In any case, the image was a rush job, because I couldn't complete the original idea in time.